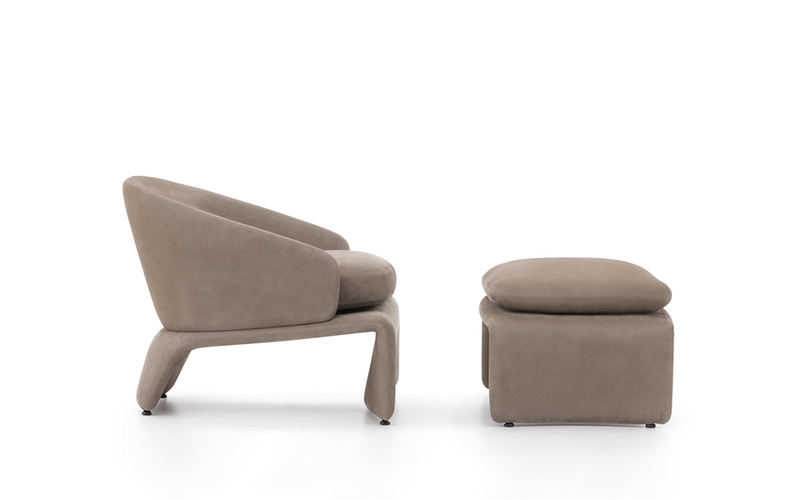 An armchair with a boldly original design, Halley offers undeniable visual impact as well as great comfort. 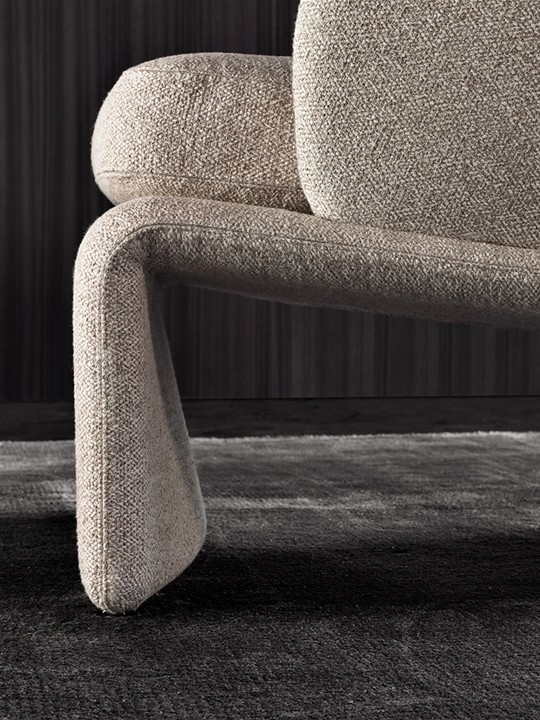 The enveloping shape of the backrest back, the fluid lines of the support base and the choice of unique upholstery materials – leather or fabric – heighten the sculptural image of the Halley armchair and make it a chair that is as tastefully elegant as it is comfortable. The base and the backrest are both made of a metal and polyurethane foam structure. 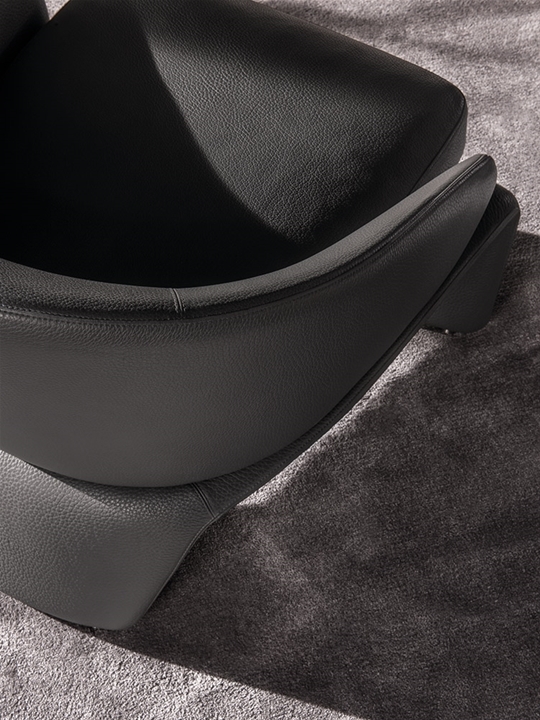 A layer of Memory Foam further enhances the comfort of the backrest. 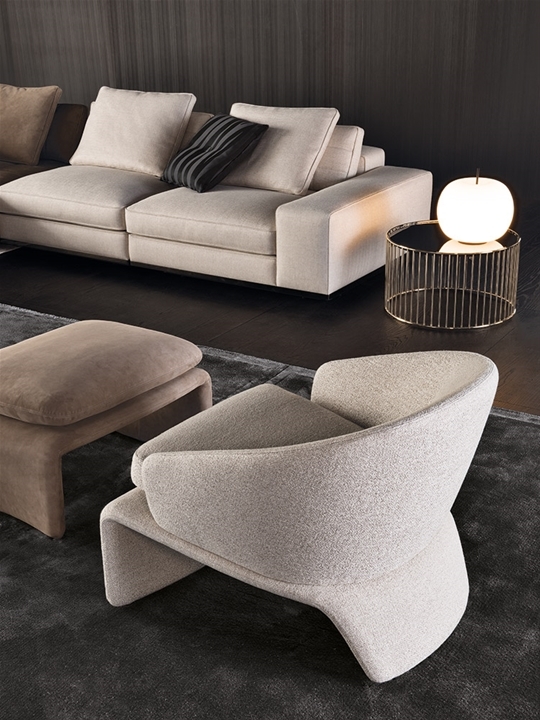 The Halley armchair can be coordinated with its eponymous ottoman.